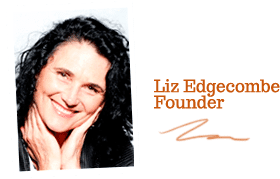 What makes The Spice People so unique is the wonderful wealth of knowledge founder and owner Liz Edgecombe has. Liz has been in the spice industry for over 22 years now and has acquired a tremendous amount of information and experiences along the way. Liz has been lucky enough to rub shoulders with the best in the biz including celebrity chefs and restaurant owners Adam D’sylva of Tonka, Shane Delia from Maha and Frank Camorra owner and chef of MoVida. Here at The Spice People we are always excited by the prospect of new flavour combinations and are always looking to educate ourselves in which ever way we can. These chefs are absolute masters in their trade and it was a treat being able to gather a pearl or two of wisdom from them. A couple of years ago Liz got the exclusive experience of joining Adam D’sylva for an evening of cooking and learning at the Harvey Norman gourmet institute in chadstone. The theme of the evening was spices and who better to expand our knowledge even further than a master chef with an Indian and Italian background. For the evening Adam made a spicy sweet crab salad and Tonka restaurant’s signature curry which we have since adapted and would love to share our version with you by clicking here. Adam describes this Avanis Lamb Curry as a labor of love and a special dish from the Mumbai region of India due to its use of coconut and white poppy seeds. 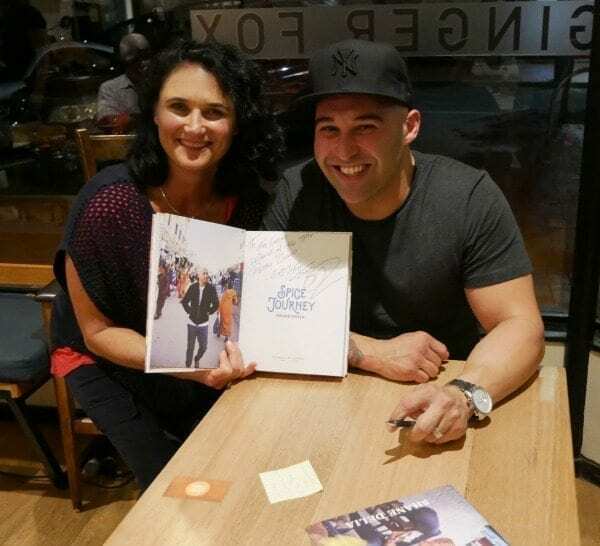 Shane Delia chef at Maha restaurant and author of book Spice Journey: Adventures in Middle Eastern Cooking is another celeb chef Liz has had the pleasure to liaise with. 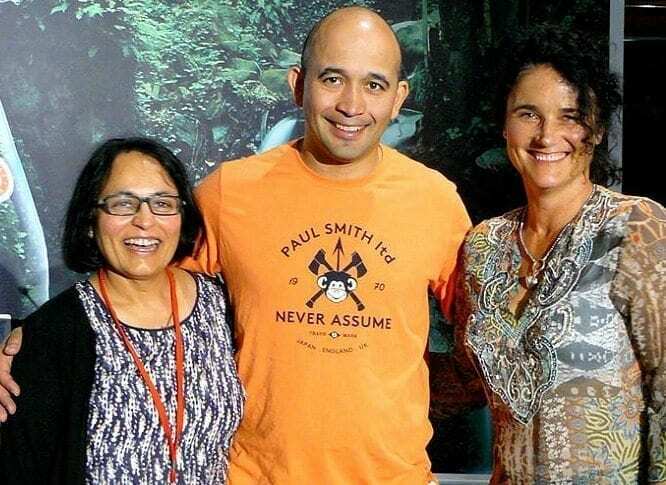 Liz attended the master chef’s book launch which was inspired by his SBS series Shane Delia’s Moorish Spice Journey. As a fellow lover of Morocco and all the delights its cuisine has to offer the two had an enriching conversation about shared experiences in the Middle East. We just love Shane’s book and adapting it to our own Moroccan spice range. Two standout recipes for us are our Morrocan Ras el Hanout ice cream with apple and mint pastilla and Lamb tagine with eggplant and potato. To read more about the book head to our Trend Report. 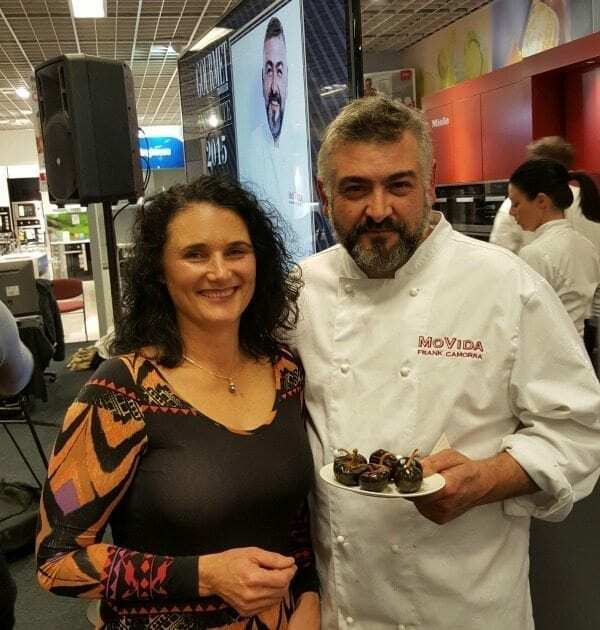 Another enriching experience at Harvey Norman’s gourmet institute event was an evening with executive chef and author of MoVida, Frank Camorra. Frank’s MoVida restaurants specialize in Spanish tapas and his food will have you feeling like you’re in a tapas bar in Barcelona. Frank was originally born in Barcelona and moved to Australia at a young age. Since, Frank has returned to Spain and Portugal many times learning the lay of the land and scouring the beautiful countryside for authentic and rustic dishes. An integral part of Spanish cooking is spices and Frank is a wiz at knowing how and when to use them for maximum impact. On the evening Frank made an amazing calamari and baby beet salad with the inclusion of ground fennel seeds. We have adapted this wonderful recipe using pork and we think it works just as well. The ground fennel compliments the pork and sweet beets perfectly and is a marriage made in heaven! Click here for full recipe. Dishes made by these chefs are an absolute labor of love and can take a lot of time, effort and skill. To enjoy the full experience it’s great to head to restaurants like Tonka, Coda, Maha and MoVida where you can enjoy food made by the greats. 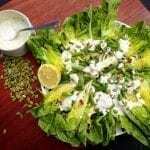 If you would like to give one of these wonderful dishes a go visit our recipe pages. When adapting recipes for you at home we stick to an 80/20 rule. These recipes are tried and tested multiple times until we believe you can achieve 80% of top restaurant quality with 20% of the effort.